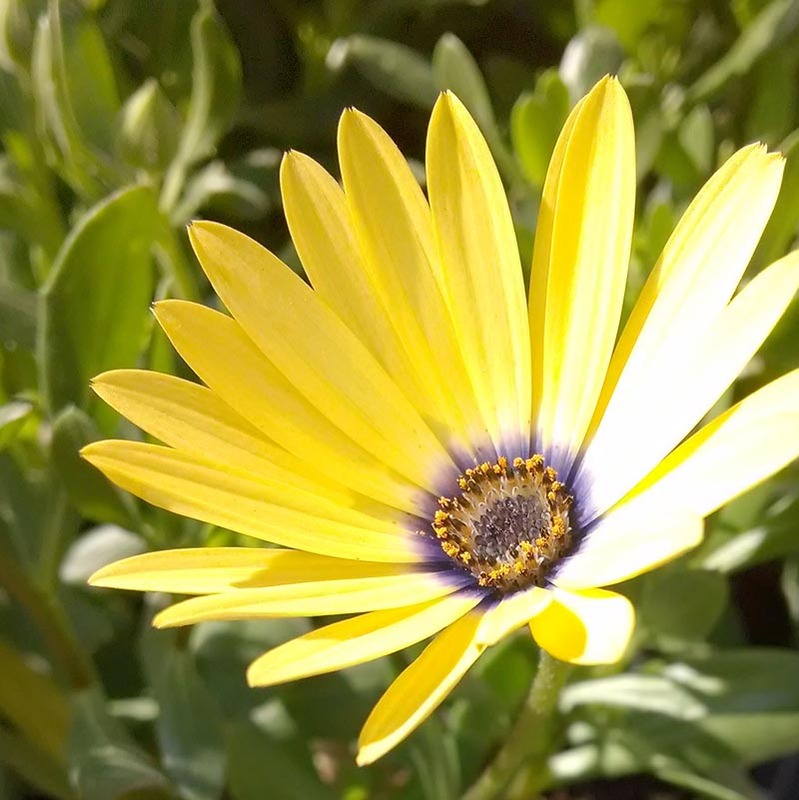 Showy lemon yellow daisy blooms with purple centers are attractive to butterflies. Great for cut flowers. Blooms spring through fall.